When you plan you Rustic and Winery Weddings in Melbourne, you definitely won’t miss the venues in Yarra Valley. As a wedding photography veteran in Melbourne, I have my own answer for a unique and spectacular wedding venue choice – Wandin Park Estate. Based in the heart of the magnificent Yarra Valley, Wandin Park Estate owns 320 acres of undulating pastures and bushland with a stunning backdrop view of the rolling hills and vineyards. This is why you could have so many wedding ceremonies and reception options with them. The Woolshed is a great option for weddings up to 200 guests to have a formal banquet. When you have more people coming than this number, The Main Hill can definitely fit with all your guest with the style of Marquee and Tipi Weddings. The breathtaking view here will make your guest say “WOW”. If you plan to have a more intimate style wedding, The Shearer’s Quarter can suit your need. From a wedding photographer’s perspective, Wandin Park Estate is a perfect venue for rustic and candid wedding photography. The vineyard, the race course, the barrels and the historic buildings are a great spot for your wedding photographer to be creative. Wandin Park Estate has a spacious homestead onsite for the couple. Making your wedding day run seamlessly and stress-free is the prime goal. 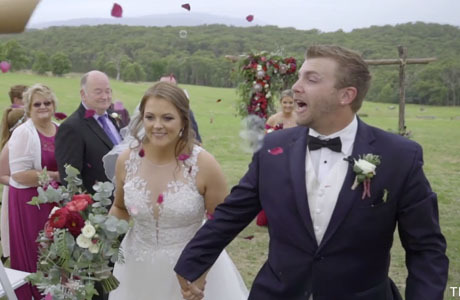 You are guaranteed to have an inspirational wedding journey at the Wandin Park Estate. As a 7-years professional specialized in Wedding Photography, I would say Wandin Park Estate is definitely not something common as a wedding venue. Should you have any questions to plan a wedding at Wandin Park Estate, please do not hesitate to Contact Us for the suggestions and information from a wedding photographer’s view.